As work continues on the housing development at the west, Biddenham, end of the land north of Bromham Road, the access road into the development from the roundabout on the bypass is now being opened up. Meanwhile to the west of that development, on the other, Bromham, side of the bypass work is going apace on developing the playing fields and the changing facilities are also underway. And through it all the Canada geese amuse themselves by the large pond between the bypass and the river. You may have noticed on the developers’ sign boards erected on Bromham Road, and more recently on the new section of bypass, that the development has an overall name of Kings Field. This has been chosen to remember an event that took place on Thursday, 22 October 1914 when King George V came to review the Highland Troops then stationed in Bedford and around, including Biddenham. The review took place in Bromham Road, the Bedfordshire Times and Independent of 23 October reported ‘in the large field beyond the Midland Railway, and lying between the Golf Course and the Bromham-road, opposite the first Biddenham turn’, that is, where houses are currently being constructed as the new development takes shape. ‘As a matter of fact’ the report continued, ‘the troops occupied both this field and the Golf Course beyond, but the march past took place in the first field’. ‘The Gordon Brigade, probably owing to the proximity of their billets to the review ground, were the first on the scene. They marched up in the neighbourhood by 9 o’clock, and took up their positions on the Golf Links. The Scottish Horse, from the country, were also fairly early arrivals. The Seaforth and Cameron Brigades started to arrive about 10 a.m., and also went to the Golf Links, and the following troops arrived in the following order:- R.G.A., R.F.A. (Golf Links), Argyll Brigade, A.S.C., R.E., and R.A.M.C. Some of the units arrived with bands playing, and in some the men were singing and whistling, but generally speaking there was an air of seriousness’. ‘During the arrival of the troops the reserve regiment of the Beds. 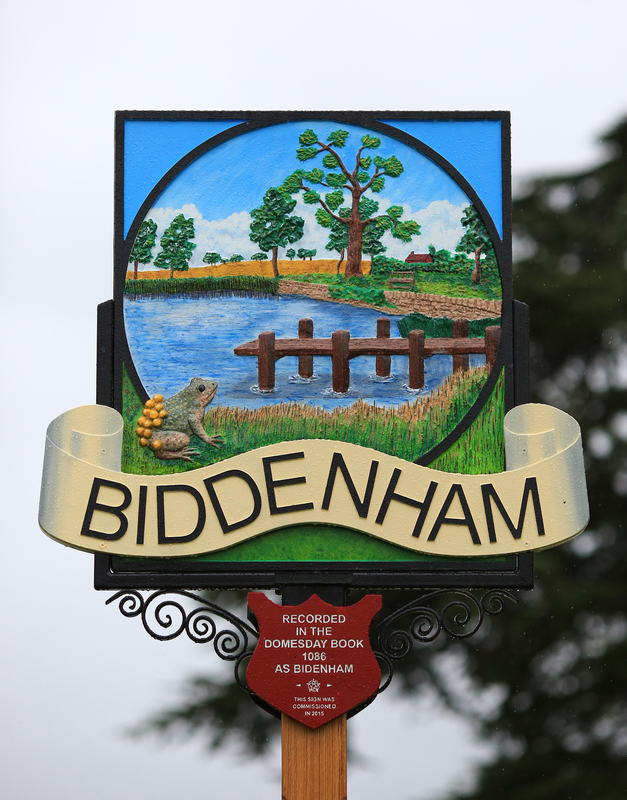 Yeomanry marched up to their training ground – a field off the Biddenham-road, and their smart appearance, despite the absence of uniform in many cases, was favourably commented upon. 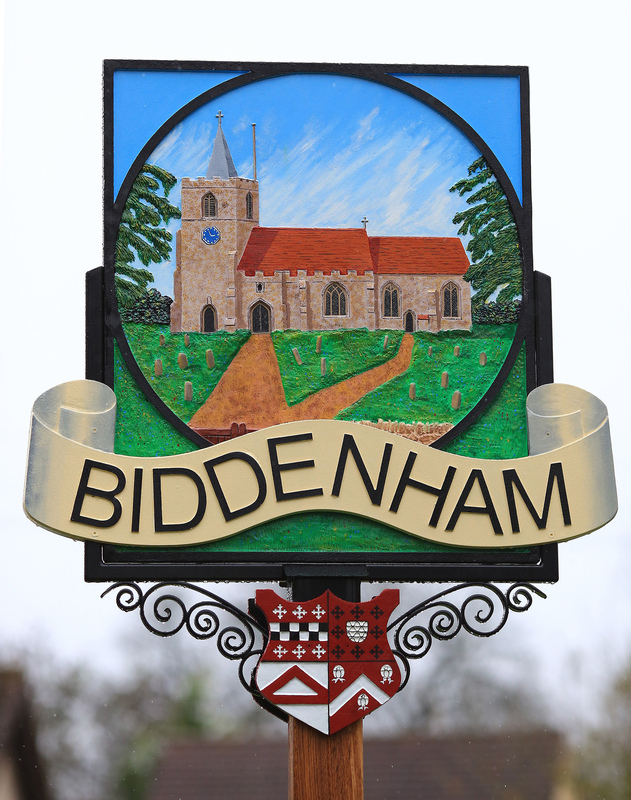 When the King left they were formed up down the Biddenham-road, but owing to the crowd they had no opportunity of seeing His Majesty’. On arrival after 11.30 am ‘the royal car passed straight up the road to the second field where His Majesty was received by the general officers, and forthwith he inspected the Scottish Horse, the Artillery Regiments, the Gordons, the Camerons, the Seaforths, and other troops parading in that part of the ground’. ‘At 11.50 a.m. His Majesty and his retinue entered the first large field at the corner diagonally remote from the gate opposite the Biddenham-lane and began his inspection of the troops on that side, walking along the front ranks from west to east’. The King then moved across the field towards the gate and the march past began, each section headed by a band of pipers. Rain began to fall and fell more heavily as the King eventually left to reach the railway station by 1.30 pm. There is much more in the newspaper report of the event which is now marked by the name given to the development taking place almost 102 years later.